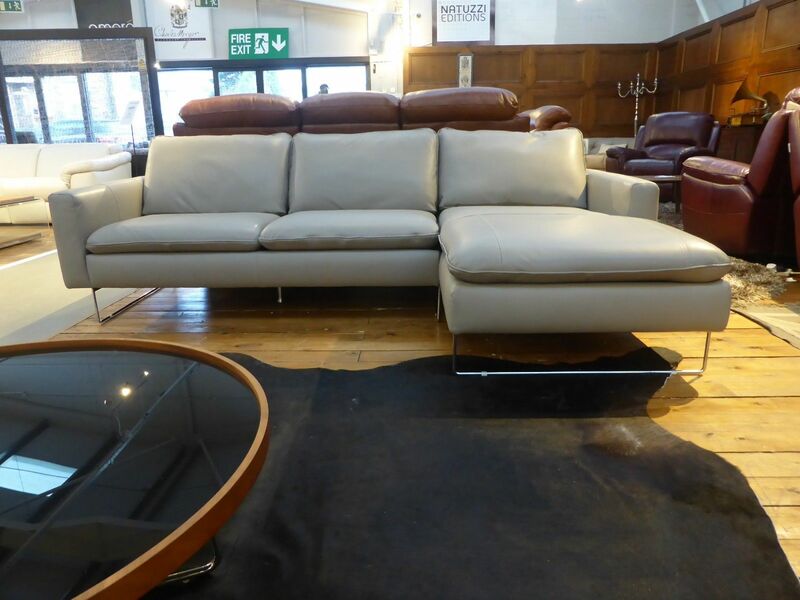 This luxurious sofa by Natuzzi is fully upholstered in soft grey Italian craftsman genuine leather with modern stylish sculpted chome bar feet. 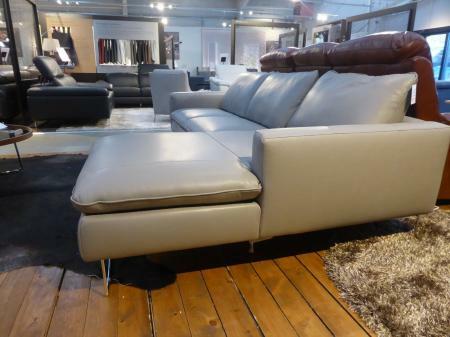 With the Natuzzi Potenza craftsman quality is always apparent and very much so in this elegant sofa. 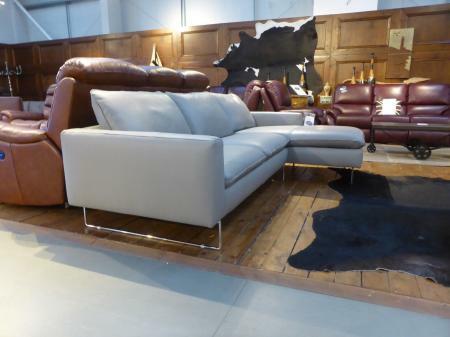 This is a trendy Italian Chic design which looks stunning in any room and compliments any home living space. 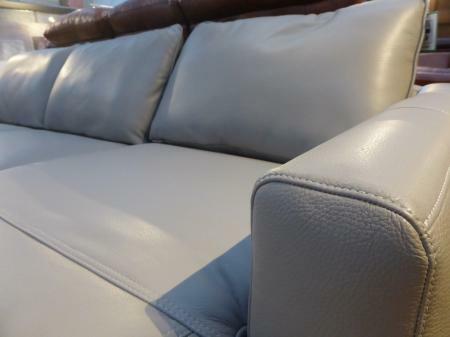 This sofa is made especially for us as our own range by the Natuzzi Group so come down to Furnimax to experience this beautiful sofas for yourself. 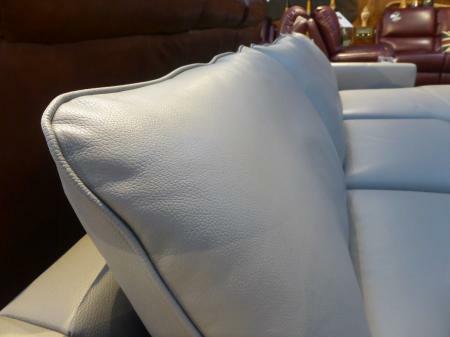 Available hand made to order in a huge range of leathers and fabrics to give you full optimisation. Measures 260cm wide x 160cm deep.